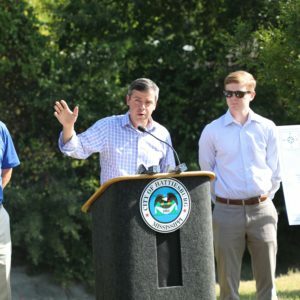 Hattiesburg, Mississippi – Mayor Toby Barker was joined by directors and Ward 1 Councilman Jeffrey George to announce two water and sewer improvement projects: one for the areas between Quinn Street and Pearl Street in Ward 4’s Longleaf Heights Neighborhood and one in the areas around Ward 1’s North 39th Avenue and North 40th Avenue. 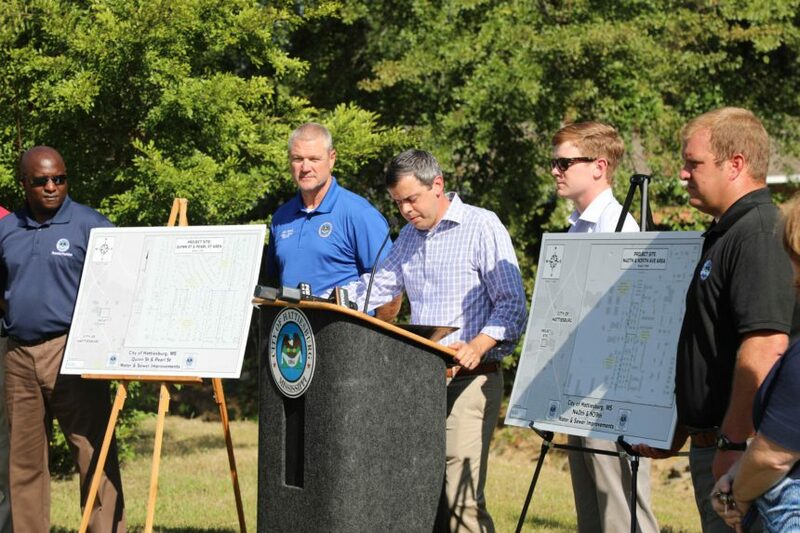 Barker added that the Longleaf Heights Neighborhood encompasses one of the older areas of the North Avenues, often battling sewer backups, low water pressure and brown water. 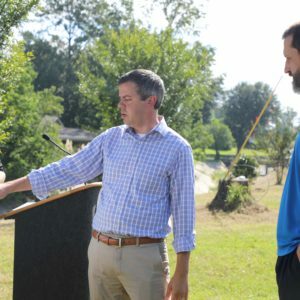 The $2.9 million project also includes some sewer replacement across Highway 49 on the eastern edge of The University of Southern Mississippi. 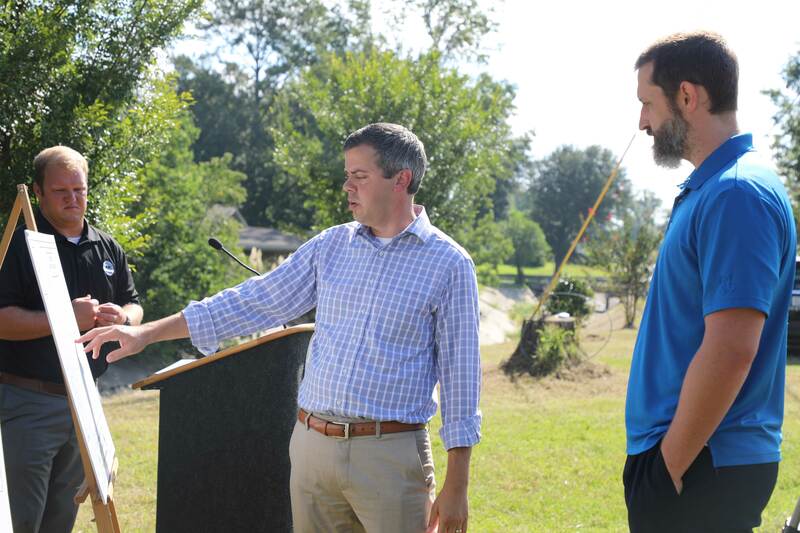 The cost for this project is $2.9 million, which comes from funding initially designated for a mechanical wastewater treatment facility but is now redirected toward existing infrastructure. 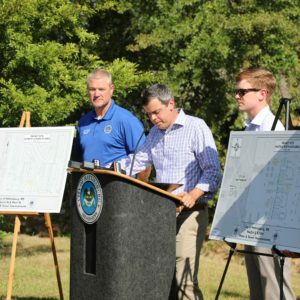 Construction in the Longleaf Heights neighborhood is expected to begin within 30 days and will last approximately 12 months. At the conclusion, all affected roads will be resurfaced. 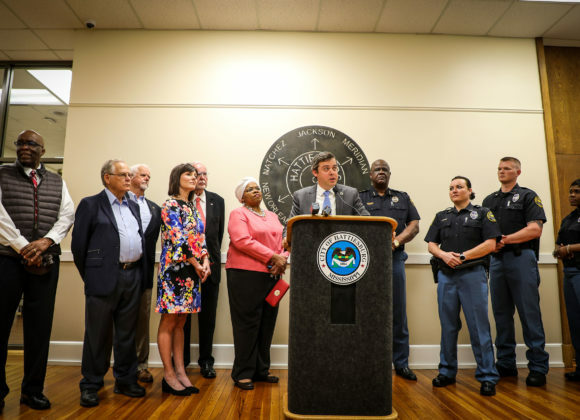 Barker and Councilman George also announced that construction has begun to replace sewer lines in Ward 1 on the 300-400 blocks of North 39th Avenue, 300-400 blocks of North 40th Avenue and the 3900 block of Mabel Street. The water lines will also be replaced on the 300-400 blocks of North 40th Avenue and on parts of the 400 block of North 39th Avenue. Both roads will be resurfaced when the project is complete. The project, which will take up to nine months to complete, will cost just under $800,000 and will be paid from annual water and sewer collections that have been designated for infrastructure replacement. 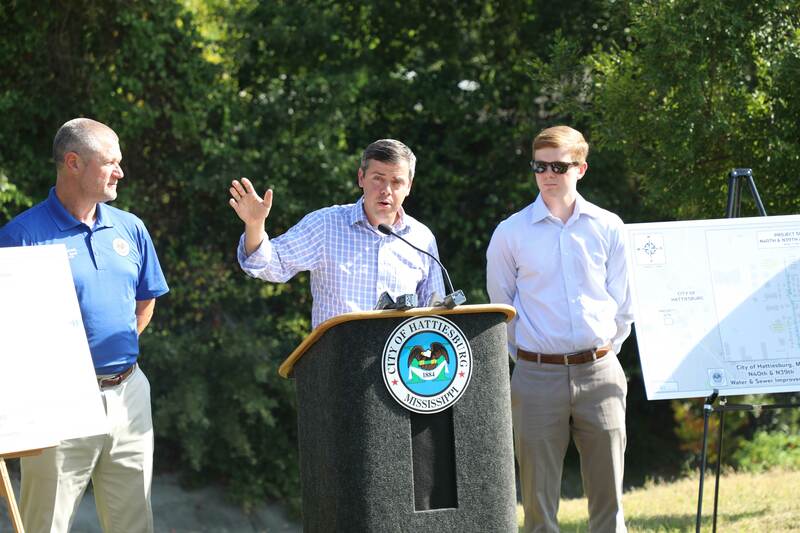 “We know that the redevelopment of this area begins with infrastructure, and we believe this project is worth the time and monetary investment we all will make to see it to fruition,” said Barker. 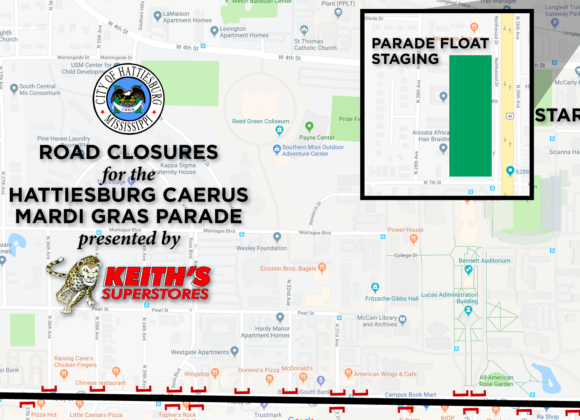 Residents in these areas can expect traffic delays, detour routes and the existence of construction equipment in neighborhoods while the work is completed.